If you’d visited Highland Green’s next door neighbour, Kawartha Settlers’ Village this past weekend, you might have thought you’d stepped into another world. The air was filled with the sounds of jingling sleigh bells and laughing children as visitors wandered from one festively dressed heritage building to another. 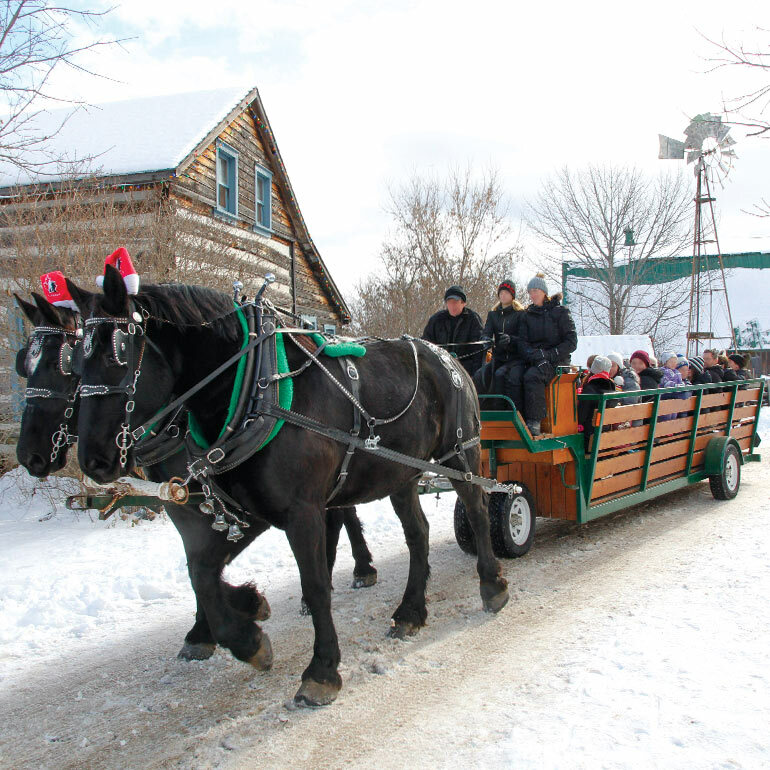 Every year in mid-November, the old-fashioned replica village of authentic heritage homes and buildings transforms into a magical four-day holiday experience that draws crowds from near and far. The Festival of Trees, Bobcaygeon’s annual kick-off to the holiday season, is supported by local businesses and organizations, including Highland Green this year. Highland Green sponsored the shuttle bus as well as one of the magnificent decorated trees that was auctioned off for charity. Happy Holidays!